In a global environment and a demanding and dynamic business area, Hiperbaric recognizes people as a fundamental pillar of its present and future success. In Hiperbaric we are proud to have a team of enthusiastic, committed and talented people. 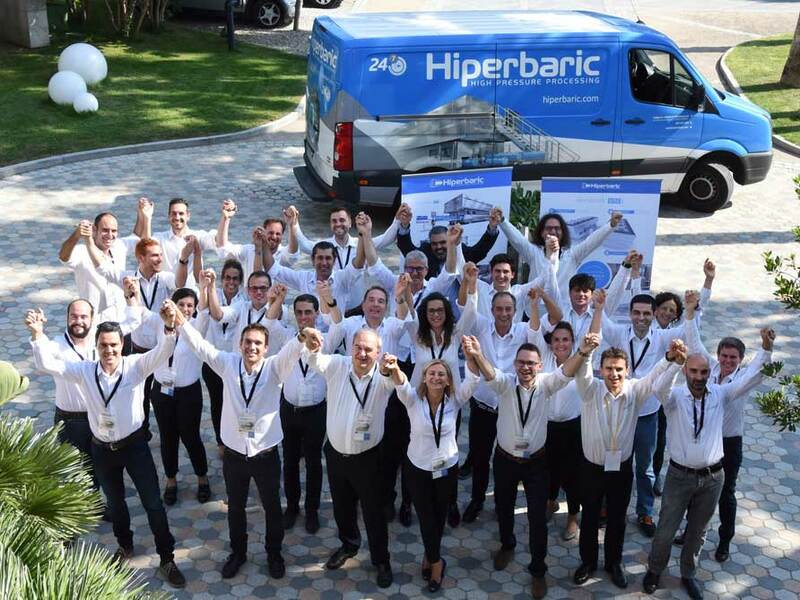 With an average age of 36 years and 10 different nationalities sharing a common project, Hiperbaric team currently consists of more than 100 people working in the factory and offices in Burgos, Spain, 15 people in Hiperbaric USA and 1 person in Hiperbaric Oceania. Initiative, teamwork, creativity and availability are some of the important values for our people. Furthermore, customer orientation is key to the organization, always ready to accept new challenges, eager to anticipate and participate. Our Human Resources policy is based on equity, recruitment and talent management, transparency, equal opportunities and cross-communication. Our growth forecasts make people management becomes a crucial and motivating challenge. You want to be part of our team? Do not hesitate and sign up to our job portal.